If you’re like most healthcare financial professionals, bad debt is probably one of your primary concerns these days. And for good reason. More and more patients are struggling with higher out-of-pocket costs and inadequate insurance, as employee-provided coverage shrinks due to high unemployment and benefit cut-backs. For example: the U.S. Census Bureau reports 48.6 million Americans lacked health insurance in 2011. And, as research from the Commonwealth Fund claims, an additional 25 million Americans wouldn’t have enough coverage to prevent financial hardship if they ran into high medical costs – like an ER visit or extended hospital stay. That’s the cause. The effect? The American Hospital Association’s Annual Survey of Hospitals reports that U.S. hospitals provided a staggering $41.1 billion in uncompensated care in 2011. That’s a lot of lost revenue (to put it mildly). Broken down per-facility, the average American hospital reported nearly 7% of gross revenue was uncollectable – either bad debt or charity care - according to data published by the Hospital Accounts Receivable Analysis in the 4th quarter of 2010. Considering that most hospitals are dealing with a balance sheet in which revenue totals hundreds of millions (or billions), even 2-3% is a really large number. Solving healthcare’s bad debt problem won’t be an easy. There’s little providers can do to change high unemployment, a slow economy, or underfunded aid programs. But that’s not stopping smart, innovative providers from meeting the challenge head on. With a toolset full of new ideas and technology, they’re working to create a holistic strategy that spans the entire revenue cycle – from scheduling through collections – so that they can better anticipate and respond to the financial needs of patients. Let’s take a look at some of the emerging best-practices that these providers are using. When it comes to revenue collection, there’s no such thing as starting too early. Determining patient payment responsibility takes time. And those delays can be costly: preventing you from collecting revenue up-front prior to treatment. • Starting patient eligibility verification as soon as possible – like when a patient calls to make an appointment. An ASAP approach gives your staff ample time to work through the ins and outs of the process prior to treatment. • Using online eligibility technology to speed patient insurance verification. • And web-enabled cost estimation tools that leverage CPT coding information to provide a data-backed estimate of the patient’s financial responsibility for treatment – before they arrive at your facility. Better yet: put that information in your patients’ hands. Many online billing and payment portals now provide patients with simple online cost estimation tools so that they can better understand the potential financial obligation associated with their treatment options. • Leaning on patient financial assessment data from both internal and external sources - like outstanding debt, credit score, and demographic data – to develop metrics that segment patients into ability-to-pay categories. Collecting from patients is hard work. And one of the easiest ways to make your hard job even more difficult is by letting patients walk out of your facility without making a payment. That’s where pre-treatment financial assessment and outreach can play an important role. Segmenting patents into ability-to-pay silos enables your staff to devote financial counseling resources and focus to the right patients. It’s all about leveraging the probabilities. For example, patients that have the resources to pay or that qualify for charity care can receive a minimum amount of follow-up from your staff. Both of these categories represent accounts that are less likely to become bad debt. But patients that fall between those groups generally do have bad debt concerns. So they’ll get the bulk of your effort accordingly. Financial transparency is something that patients appreciate, too. Healthcare consumerism is increasingly putting the burden of cost containment on individuals. But, for many patients, there’s a real lack of understanding about what they’ll be expected to pay for a procedure until they receive their first patient statement. Starting the financial discussion prior to treatment helps reduce the sticker-shock; enabling patients to budget appropriately for treatments. • Screening for charity care eligibility before treatment begins to identify patients that may require much ands-on attention from their financial staff, but less financial correspondence. • Contacting patients before treatment to discuss payment expectations in a way that’s honest, transparent, and respectful. • Leveraging ability-to-pay data to provide patients with access to appropriate financial counseling, balance discounts, or payment plans. • Using your online billing and payment channel to enable patients to pre-authorize payments before treatment, enroll in payment plans, or receive balance discounts. For example, you could offer an early-pay discount on pre-authorized payments made through your EBPP platform to encourage patient self-service and increase the adoption of online billing. • Using IVR automated phone messaging to provide patients that have gone through financial advocacy with a summary “bill” of their financial obligation and a simple, self-service way to pay the balance due. • Making co-pay at the time of service mandatory. And then standardizing your retail collection program with a single tracking system. Point-of-service credit card readers are increasingly offered as an add-on to many EBPP platforms. That technology automates transaction processing and posting and gives you the tools to send patients a digital patient statement they can access online. Comprehensive pre-treatment collection programs help minimize bad debt before it negatively affects your balance sheet. But this is healthcare we’re talking about. And whether it’s for an ER visit or an encounter that can’t wait weeks while financing is worked out, sometimes pre-treatment collection just isn’t feasible. • Using a statement processing solution that features clear, simple, concise patient statements that reduce patient phone-calls to your service center and accelerate payment. And efficient, USPS NCOA-enabled print and mail practices that reduce undeliverable mail. • Improving the effectiveness of your patient statements with an early-out billing program that gives dedicated, hands-on attention to accounts in the post-encounter period that’s optimal for managing bad debt. • Using online billing and payment technology to give patients a fast, anytime/anywhere, self-service payment option that speeds collections. • Featuring online – or including with your patient statements - clear billing instructions, Frequently Asked Questions, and multiple ways (phone, secure messaging on your EBPP platform, or in person) for patients to get in touch with your staff if they have questions. 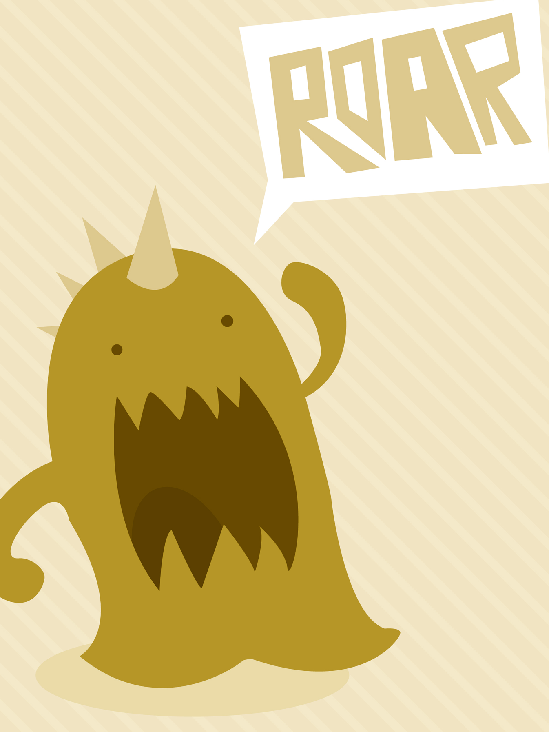 Want to learn more about how smart billing technology can help you beat the bad debt monster? Check out our free online billing and payment whitepaper, The New Rules of Patient EBPP, for tips and tricks that’ll help put your revenue cycle on the fast-track. 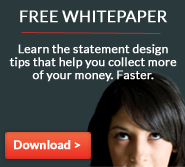 What patient collection strategies do you use to help control bad debt?